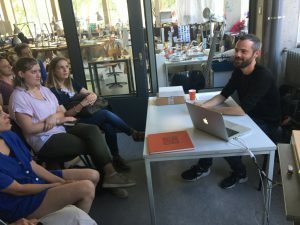 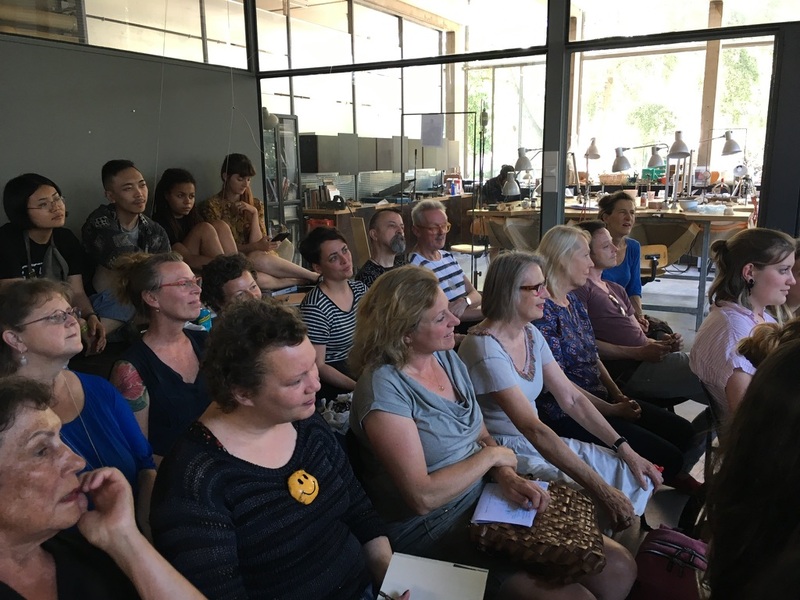 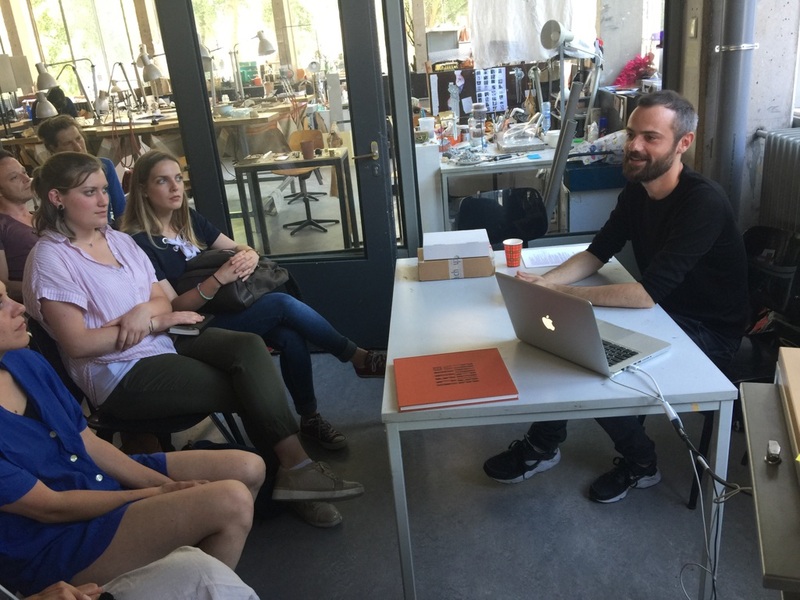 On 28 May 2018, Florian Weichsberger gave a lecture at the Jewellery – linking bodies department of the Gerrit Rietveld Academie as part of the Artist in Residence program of the Françoise van den Bosch Foundation. From the beginning of my career I was interested in how jewellery can be a medium to transport information or attitudes but also to function as a way of expression of the wearer. 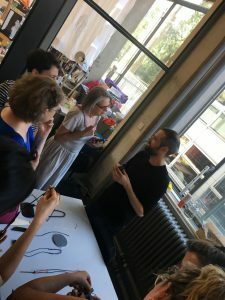 Seeing jewellery as a part of visual communication, I started to think about the space in between people, its natural environment and what it contains of feelings and emotions. How can I visualize these aspects in wearable forms, next to clothes, to express one’s personality? 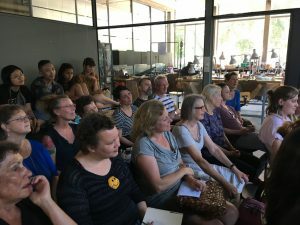 To show who you are, what you think and how you feel – with an extra focus on investigating personal aspects that we usually hide in public, like fear and vulnerability. 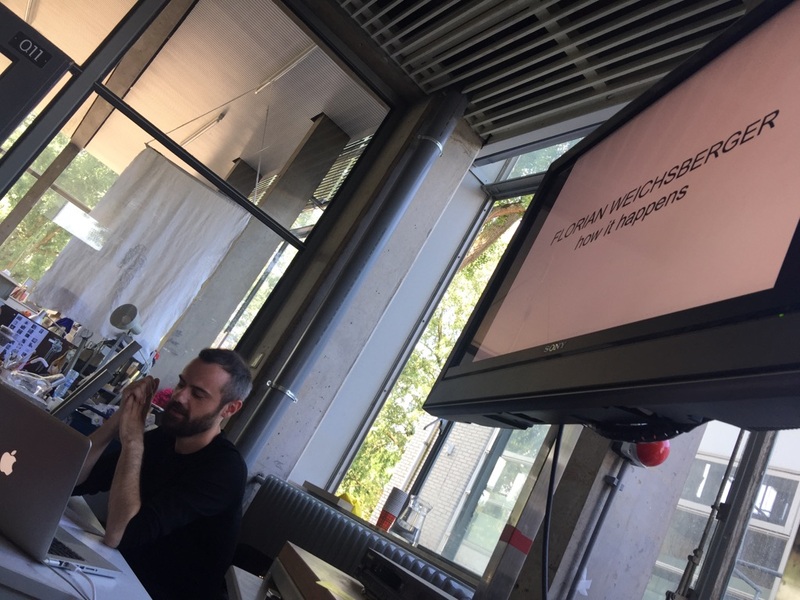 Another series of work is based on thoughts about social structures, researching and questioning the relevance of religion nowadays, or how we behave and deal with current consumption orientated systems. 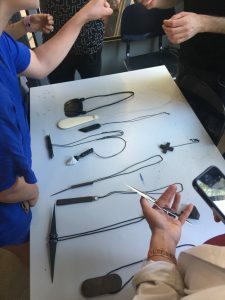 I often use symbols of classic or costume jewellery, giving them a twist by adding a comment through the choice of material that has certain meaning for me, or by placing them in another context.